After playing Alto Sax for 8 years, switching to Tenor Sax was a very rough experience. 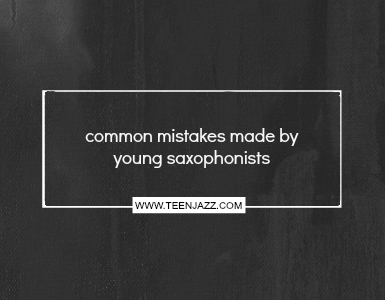 Tenor Sax was bigger, heavier, and sounded much different than the alto saxophone. However, I did love the lower extended range of the tenor saxophone. I ended up picking up an Ottolink New York from a local music store. (I previously played on a Selmer S80 C*, it was a good mouthpiece, but the lower register didn’t have the aggressive sound I was looking for). Since, I have tried several other mouthpieces including everything from a Meyer 7* to a Dukoff Hollywood and the Vandoren V16, but nothing compared to the Ottolink New York. The Otto link had the aggression that I was looking for; it played all the way down to the low Bb powerfully, in tune, and it came out effortlessly. The Ottolink was exactly what I was looking for in a mouthpiece. It sounds amazing in all registers, especially the low end. It is incredibly responsive and durable. The Otto link New York has a wider tip and larger chamber than most tenor saxophone mouthpieces giving it a darker, rounder, and “fatter” sound. It comes in sizes 5, 5*, 6, 6*, 7, 7*, 8, 8*, 9, 9*, 10, and 10*. Size 5 has a tip opening of .080 and the 9* has a tip opening of .125. I use a 7* with my Selmer Mark VI. The list price is $200, but you can find it online at a more affordable price at places like Woodwind and Brasswind. Kenn Hadnot has been playing alto and tenor saxophone for about 11 years. He currently attends Shoreline Community College, but intends to transfer to the Cornish College of the Arts in January 2007 as a Jazz Studies major.